This is the time of year where we celebrate being lucky. St. Patrick's Day is all about how lucky we feel in our lives. 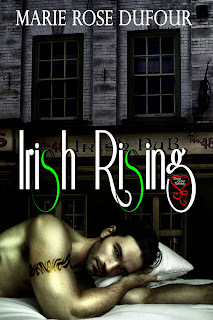 Of course, being a romance writer, my idea of being lucky is being in love? Are you lucky in love? Ever have been? From my own experiences, I consider myself lucky in love. When I was sixteen years old and working as a waitress at Friendly's Ice Cream, in walked this gorgeous guy with long flowing back hair and deep brown eyes. His smile, immediately turned my stomach all warm and buttery and sent my heart thumping. I thought to myself, "Damn, that's the man I'm going to marry." He was a boy at the time and it took him a bit to become a man but basically nine years later, my statement came true and we were married. Over the years, it hasn't all been ice cream and chocolate sauce but his smile still has the ability to make my stomach and heart flip. He is the biggest supporter of my writing career. Although at times, he can't BELIEVE what I write really comes from me. I can tell when he stumbles across a love scene I've written. I hear myself being called a "dirty girl" from various parts of the house and hear him chuckling to himself. It gives me a thrill that I can still shock him and amuse him after so many years of marriage. Sigh..so yes, I do feel lucky. I might just join the hop as a reader myself. Hey, authors need prizes and love too! LOL! Please comment about what do you feel lucky about this time of year and don't forget to include your email address. This time of the year, I feel lucky because vacation is nearing for meee!! Tee hee. This time of year I feel lucky to have survived another midwest winter! More than that, I feel lucky to have the other half of my soul with me. We too met young, at 14, and grew up together. We've now been together for 18 years. Love him! 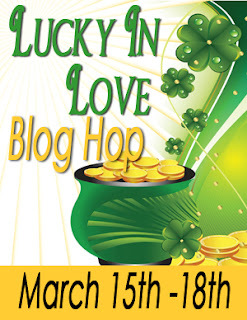 Thanks for participating in this blog hop! I feel lucky to have spent almost 20 years with the love of my life. He is the greatest husband I could ask for. Hmm I guess one thing that makes for feelings of luck this time of year is that even though it's still cold and snowy, soon (hopefully!!) it will stop and there will be warmth! I love the books that are above and all the blurbs. They made me want to read them all. The covers are all stunning as well. I am going to have to make a note of these so I can get them all on my to read list! 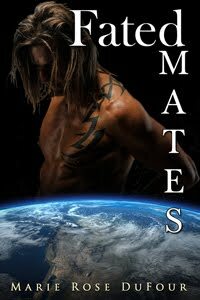 I loved Fated Mates and hope you write another book in that area! My husband and I have been lucky in love for 12 years! 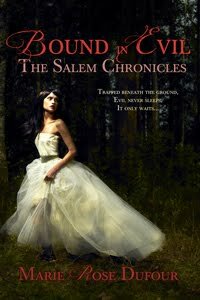 Loved the excerpts and I feel lucky because its almost Spring time here in Wisconsin so we'll get some better weather!!! Thanks for the great giveaway and for joining the hop!!!! I married my one true love, so I guess I'm very lucky in love. Not lucky yet. Happy St. Patrick's Day!